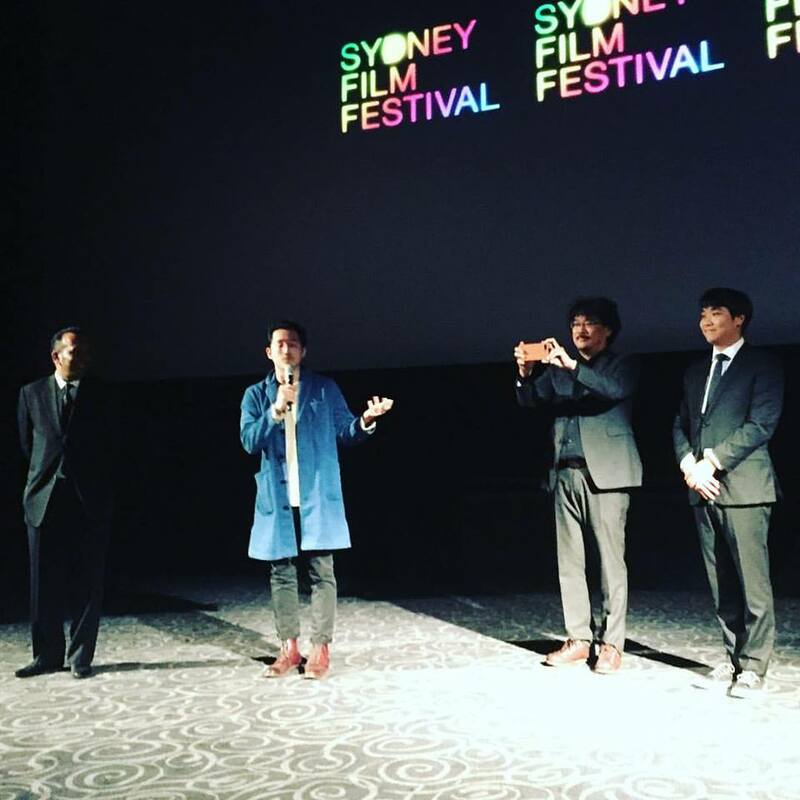 Congratulations Nashen Moodley.....the 2017 Sydney Film Festival has proved this year to be a greater success than ever before! After 12 days and nights of the best films from home and around the globe, the Sydney Film Festival came to an end on Sunday night with a spectacular Closing Night Gala. The night not only featured a screening of Bong Joon Ho's Okja (in which the filmmaker himself was on hand to introduce), but was also when Hungarian film, On Body and Soul was announced as the winner of the Official Competition. Of course the highlights for any festival goer will always be the amazing films they see, but there are always certain things that come along with the Sydney Film Festival experience. This includes the infamous run up George St from the State Theatre to Event Cinemas between films, the late nights at the Festival Hub, bumping into film folk you know in the strangest places (like the queue at the Ladies room), geeking out seeing some of your favourite film directors casually walk around the venues and then there is the darker side of film festivals....the people who detest queues and use that as a reason why they shouldn't be in one, the loud eaters and phone checkers. With over 250 films as part of this year's program, it was logistically impossible to have seen them all (although I am open to being proven wrong about this!). We made it to 16 of the films in this year's program. Here we give you a brief review of each and determine what our top five of the festival were. Raoul Peck's film about the early years of the legendary Karl Marx is a stunning period piece. Although it is not emotional, intense or riveting, it is nevertheless intriguing, informative and enjoyable. The film tells his tale in fine fashion with glorious production and costume design relevant to the time period. The Young Karl Marx does it's job, but feels like it is lacking in regards to it's depth and emotion. Jeff Baena brought perhaps the biggest laughs of the festival with his skewed tale of Medieval convent dwellers in The Little Hours. The film is a hilarious take on sexuality in the dark ages and is a rather simplistic film that doesn't say a great deal more than what is presented on screen, yet this sits well with all audience members. Aubrey Plaza (who also produces the film) is completely in her element and Kate Micucci gives a hysterical, out-of-control performance. Nick Offerman and Fred Armisen are also very amusing in smaller roles. Esteemed documentarian Nick Broomfield's latest film, Whitney: Can I Be Me is one of the rare music documentaries that is not exclusively just for fans of the late Whitney Houston. The film gives us an unprecedented behind the scenes look into her final complete world tour and this combined with revealing interviews from those who knew her best make this reality of the talented songstress completely heartbreaking. While respectful to her memory, the film doesn't hold back on the extent of her dependencies, addictions and demons. David Wenham makes his feature film directorial debut with Ellipsis; an intriguing cinematic experiment that ultimately blossoms into a naturally whimsical and delightful love-letter to the city of Sydney. To truly appreciate Ellipsis, one must understand the process by which it came into existence. The film was workshopped over a period of ten days and shot over the course of a night. It was a highly ambitious task for Wenham to undertake with his two leading actors, Emily Barclay and Benedict Samuel, but one that has had stunning results. To see our full review of Ellipsis, please see here. The sweet and gentle ode to Australian surf culture, Rip Tide successfully and satisfyingly targets a niche audience that is often left neglected....young teenage girls. The film also sets a grand example not only for young female girls, but for women everywhere. The film is directed and written by women with a strong cast that is predominantly female all in rewarding roles. Rip Tide is perfect for the young spectrum of teenage girls, but may feel like it is lacking for older audiences as a result. To see our full review of Rip Tide, please see here. The great Michael Haneke is no stranger to film festival goers and Happy End was part of this year's Official Competition. As a sequel of sorts to his 2012 Oscar nominated Amour, the film takes a look at a family and their deep, dark secrets as they are revealed. Happy End is incredibly captivating with a stunning performance by young Fantine Harduin and while not as powerful or dispiriting as Haneke's past films, has an extremely dark streak of irony that makes it memorable. Ingrid Goes West is the Sundance hit that combines a narrative and social commentary on the dependence we place on social media in regards to our identity. The film is an interesting balancing act. It presents pop culture images and references that it wants you to enjoy watching, yet at the same time warns you about the dangers of believing that these things are any more than a fabrication to make things appear better than what they actually are. While Aubrey Plaza gives a career best performance as obsessive loner Ingrid, the way her character is written is almost too painful to watch at times...which is also something writer/director Matt Spicer seems to want. Julian Rosefeldt's Manifesto is a collaboration of short films in which Cate Blanchett recites monologues as 13 different manifestos. These short films were made as a video installation and it is obvious that it was initially never intended to be a 95 minutes film. Even though Blanchett is absolutely mesmerising and such a chameleon, it is not enough for Manifesto to be enjoyable or able to capture keep ones attention for the whole run time. Starring Danielle Macdonald (who was on hand to introduce the film at it's Australian premiere at the Sydney Film Festival), Patti Cake$ gives a different spin on an otherwise unoriginal concept with clichéd themes. Macdonald plays Patricia Dombrowski AKA Patti Cake$, a protagonist with huge talent who is constantly looked down upon because of her upbringing, appearance and the socio-economic climate in her New Jersey hometown...where if you want to leave, it is just assumed you will fail at doing so. There are some intriguing underlying themes besides the obvious "you can achieve your dreams no matter who you are" and all the characters are wonderfully developed and interesting. Taylor Sheridan makes an extremely impressive directorial debut with Wind River, a film that is as visually beautiful as it is disturbing. Set in a small Wyoming town, a young girl is mysteriously found dead in the snow and the cracks in the small town and it's inhabitants start to show as Cory Lambert (Jeremy Renner) and Jane Banner (Elizabeth Olsen) investigate. Wind River is a stunning film that deals with some rather confronting crimes, themes and issues...many of which you don't feel the severity of until long after the film is over and you find yourself continuously thinking about it. Roger Donaldson's McLaren is the documentary celebrating the life of racer, engineer and founder of the McLaren Motor Racing Team, Bruce McLaren. Although the film makes you appreciate McLaren's contribution to the racing world and understand his remarkable achievements, it is primarily a film just for racing enthusiasts. For those who are fans of the sport, McLaren tends to drag and the passion of those who are interviewed during the film is not at all contagious. Alexandre O. Philippe's 78/52 is a glorious ode to Alfred Hitchcock's Psycho that is crucial viewing not just for fans of The Master of Suspense, but for all film lovers and aficionados. 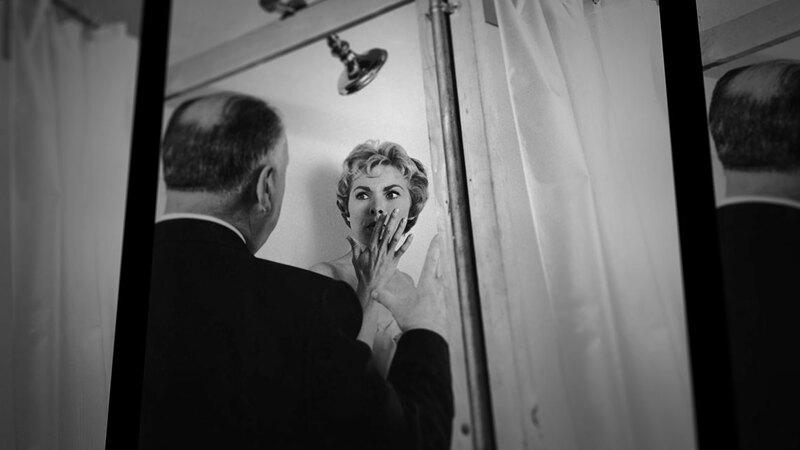 78/52 is an extremely thorough look at the film and gives a frame by frame examination of it's most popular scene...the infamous Janet Leigh shower scene. Both intriguing and informative, the film thoroughly presents it's case as to why Psycho and it's pivotal scene mean so much in a creative and original fashion. To see our full review of 78/52, please see here. Rumble: The Indians Who Rocked The World is an absolute delight for all movie lovers. While the documentary by Catherine Bainbridge and Alfonso Maiorana is primarily aimed at the rock genre of music, it is a whole lot of fun as well as being gratifyingly informative. It looks at not only the individuals who have American Indian heritage and were monumental for the industry, but it also examines how the race has had an influence on the genre itself. With a great soundtrack, brilliant storytelling and many amusing interviews, one would hope we will be seeing awards buzz for Rumble towards the end of this year. When Bong Joon Ho's Okja was the first Netflix film to be shown at the Cannes Film Festival last month, it created a great stir for the wrong reasons when cinema goers took the film and it's distribution company personally at it's first showing. However, to watch Okja on the big screen is an absolute gift. The story of a young Korean girl, Mija and her best friend, who just happens to be a super pig by the name of Okja, is incredibly heartfelt, but at the same time quirky and gets very dark very quickly. Okja is a beautifully crafted film that is wonderfully creative, but this originality could be also be perceived as a little too twisted for some. Yet, others will see the film as near perfect. Brigsby Bear is a wonderfully lovable, off-beat comedy that is driven by the power of creativity and passion. It seeks to remind us that while originality is a dying concept, it is still greatly craved and celebrated...particularly in film and television when our multiplexes are cluttered with sequels and remakes. Kyle Mooney and Kevin Costello's heart-warming screenplay is off-beat and quirky (much like Mooney's brand of comedy), but is universally entertaining, sweet and endearing. To see our full review of Brigsby Bear, please see here. Sofia Coppola's The Beguiled is a near-perfect film. As well as being exquisite in every way possible from the incredible cinematography to the costume design, it's screenplay (written for the screen by Coppola) is sublime. It's beautiful use of language comes with hints of irony and unexpected humour. The story of a group of Virginian schoolgirls during the Civil War being disrupted by a male visitor is seemingly straight forward, yet makes you constantly question who is the manipulator and who is victim and what is right and what is wrong. It is a feeling of privilege you receive upon watching The Beguiled and not only our favourite film from the festival, but very likely to be one of our top films for the year. It is an informative post about movie critics. This Sydney Film Festival has brought many excellent films on one platform. Personally, I enjoyed reading 78/52 as it was the topic of my custom essay visit this.